I've looked for this pad on sale in the UK everywhere, but this seems to currently only be available in the States via the PDP official store and Amazon. If this changes anytime soon (or I have missed a UK link) I will add it in at the bottom of this review. Stateside you can expect to pay $49.99 when going to places like Amazon and the official PDP store, but I did come across places selling it for $34.99 too. So certainly have a look around for yourself if you want a decent price. Mixing things up with this short review on this pad, I'm going to get what I class as the one negative point of the whole pad out of the way first, that being the fact it's wired rather than wireless. 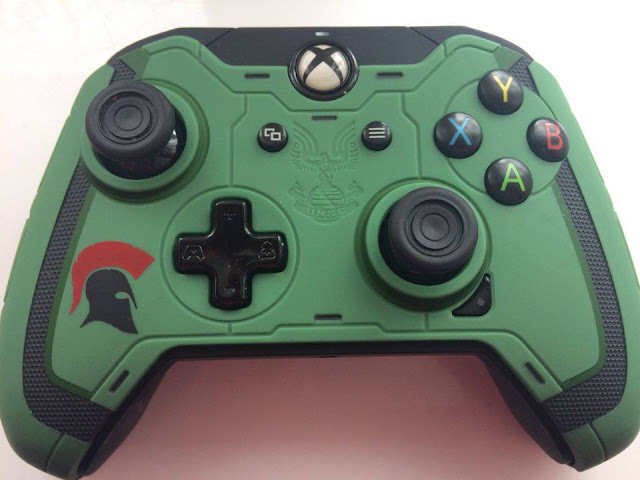 While the pad offers a unique design with Halo being the scheme it's going for, in this day and age wireless is where many gamers tend to go when picking up a new controller. And being a Dad with two kids myself, I have a graveyard of wired pads that have decided to die (been murdered) by my two little bundles of joy. The thing with wired pads and this comes from using previous PDP controllers too (Afterglow), they just decide to just stop working even when being well looked after, and the thing to break wasn't the controller itself but the port you put the cable into on the controller. Not able to time travel I can't predict if this will once again be the case with this controller, as since this turned up I've treated it like a newborn child only allowing myself to use it and being super careful with the port portion of it. What I do know is after this happening a number of times now, as a buyer of such pads I would always find myself being cautious of buying a wired pad after previous experiences. Now that's out the way I can tell you that I've been really impressed with what the pad has had to offer, but then again what should I expect as it is far from a budget controller. In terms of how it feels then it does feel like I'm holding a low budget plastic controller if I'm being honest, but the controller itself plays like you would expect any official controller to do with me having zero issues with it all the times I've used it. If anything I prefer how much more sturdy the bumper and trigger buttons feel on this pad over some of the more recent Official Xbox pads I have been out and bought in the last few months (copper shadow & red pad). On top of that it feels lighter than the standard pads too. I've had no issues with the headset jack either, so I can really bash the pad in any other areas other than the fact it's a wired controller but has the price of a wireless controller. The one thing gamers seem to love is unique looking pads, but with those costing a pretty penny, it's not something that everyone can afford. 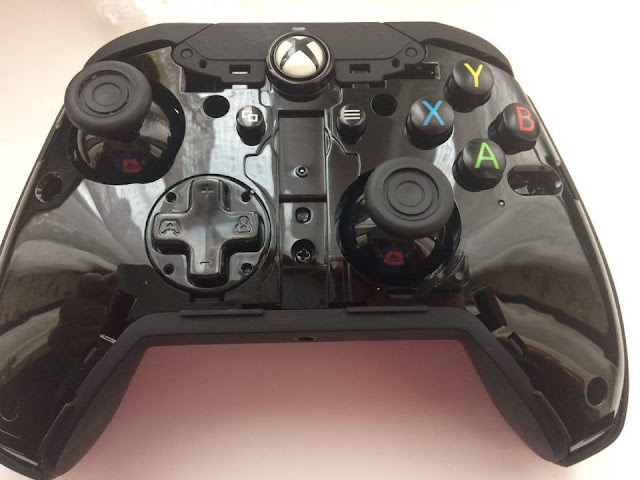 It was interesting then to see then that PDP put an extra gift in this review package, with the controller being one of their Faceoff pads too, allowing owners to buy new faceplates and change the look of their pad for a small. The one I was sent below is currently the only faceplate available, and that's the Halo Wars 2 UNSC Official Faceoff Faceplate, which will set you back $14.99 from the PDP store. Truth be told and like I said in the video, this did look a little cheap on first use, but over time I started to grow to like it. Plastic feel once again, but those black lines you see are made of rubber and have a dimpled feel to them, therefore giving the pad a different feel to the standard cover that comes with the pad. Is it worth $14.99? That's down to personal choice and what other faceplates become available at this price. For me at least this felt like a great place to start things off. 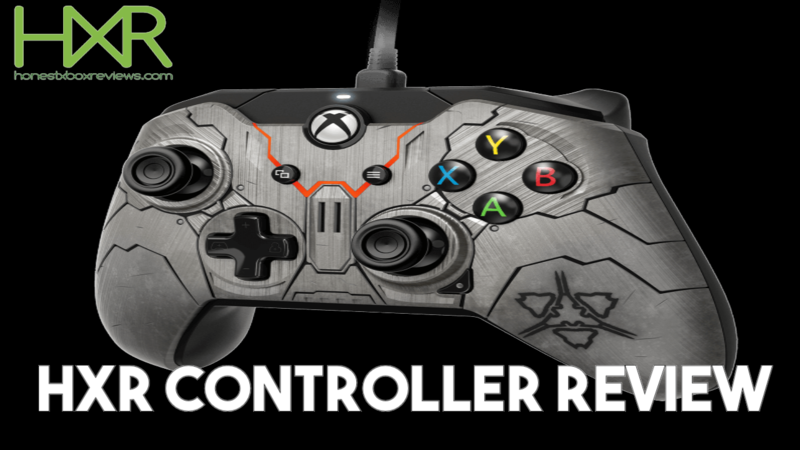 Overall: The simple question you have to ask yourself when wanting this pad is do you prefer wired or wireless? 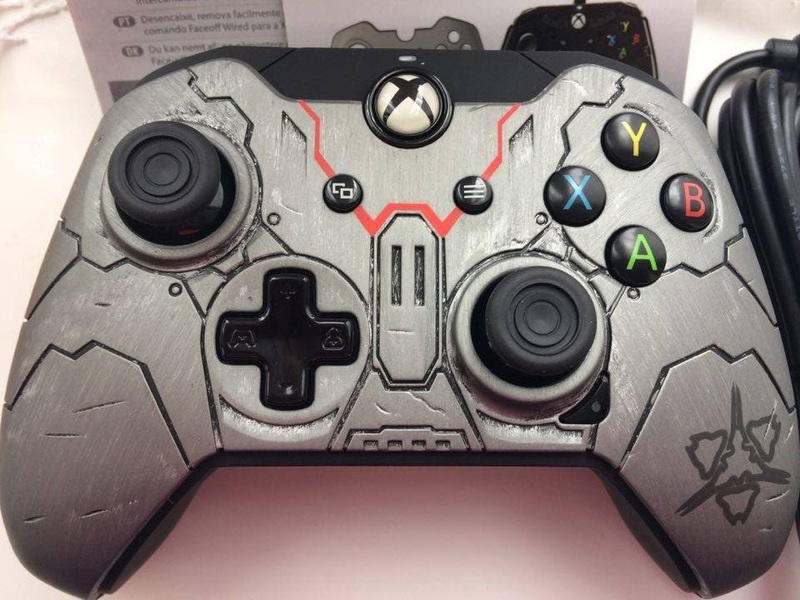 Don't mind wired then I really can't say anything bad about the pad at all, and the fact it is number limited (5,000 in total) it will be great for those out there on the lookout for something unique to game with and add to their collection. Prefer wireless? Then you can pick up pads in a number of colours and designs for around the same cost, and I would dare say some even feel better when in the hand. This is all being said, this is easily one of the best PDP controllers I've had the pleausure of playing with in a long time.